Some Vertu Mobile User Manuals PDF above the page. The company, famous for extremely expensive mobile phones. Such models are called luxury, first of all, to emphasize the status of its owner - because the cost of the cheapest one is just starting from a few thousand dollars. Technically, these devices are usually lag behind their normal counterparts (the first "advanced" model appeared only in 2009). It is understood that the man is capable to purchase such a luxury accessory that does not require add-ons such as Wi-Fi or GPS. When mobile phones were just beginning its triumphal march around the world, the possession of any model was prestigious. But it was only the first time. Gradually the "CellPhones" penetrated all strata of society and are no longer a luxury. In 1997, a group of engineers, Nokia (Manuals PDF page) offers the company's management a fundamentally new approach, namely, to create a phone with the use of expensive and precious materials. The idea was not new - many users have already had experience with the goldsmiths, who were decorated with jewels serial phone housing. But Nokia first came to this issue professionally. The idea was approved and in 1998 founded a subsidiary company, called Vertu. Translated from the French word "vertu" means "virtue and dignity." In English similar significance has a similar word «virtue». But in Germany there is a very similar-sounding verb «vertun», which translates as "wasting", which later gave rise to many sarcastic jokes. In 1999, it has been completely worked out the concept of what should be the future model. Work progressed too quickly - tested new materials, new concepts. The first phone (the founder of Signature Collection) was officially presented January 21, 2002. The second collection - Ascent - introduced two years later. To date, there are several major collections, and periodically reported in small numbers really unique and exclusive models. Today, your Vertu is one of the most famous companies producing similar products. 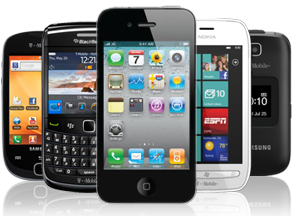 Its main competitors are companies like Gresso, Mobiado, TAGHeuer. The company is headquartered since 2000 is located in Church Crookham, Hampshire, United Kingdom. Representations are scattered around the world. As a subsidiary company, your Vertu relatively independent of Nokia: her own leadership, its own engineers and production capacity.